Businesses can be found everywhere, including on search engines like Google, and especially if you have a website. At this stage, if you are a business owner or manager you need to know that your website ranking is of utmost importance. Not sure what this means? Let me explain….. Your website ranking is where your website address can be found on search engines like Google. For example, you are a Graphic Designer in Cape Town and you have a website. This means Google knows about you and you can be found when people search for graphic designers in Cape Town, right? Unfortunately, it is not that straightforward. The past few years technology and the digital world has grown tremendously, making it not as easy as typing in what you think people might search for when they are looking for your services. 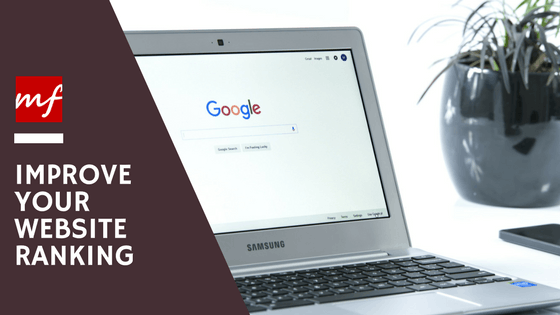 Google is so intelligent that it determines where your website will appear by looking at these factors and more. Google wants to create the best experience for users and takes all these elements into consideration when ranking your website. The good news is you don’t have to worry about doing this all yourself. To improve your website ranking can be very time-consuming and initially might be expensive, but definitely worth it in the long-run. Invest in your business and hire someone to help you improve your website ranking on Google and other search engines and reap the benefits. If you would like to set up a free consultation with us to get your digital engine on the move please email us at info@mediafuel.co.za. This entry was tagged Google, Google AdWords, Google Search, Media Fuel, Search Engine, Search Engine Optimisation, SEO, Website Ranking. Bookmark the permalink.